Home sales increased in February 2019 over February 2018 by 330 sales- almost 8% bringing sales up to 4,531. Home sales increased in all three categories; by 9% for single families, 6.2% for condos and, by 5.7% for multi-families. 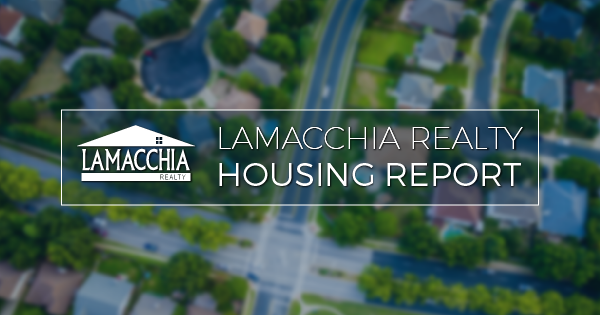 Prices are up 3.95% year over year now at $436,628, with increases in single and multi-families; by 7.8% and 4.6% respectively. Condos decreased in prices by a little over 3%. The new year brought us the first January in six years that inventory was higher than the year before. But this month we saw a 3.3% decrease in homes listed year over year meaning that some sellers were waiting for the spring thaw to list their homes for sale. The number of homes that were put under agreement in February 2019 compared to February 2018 is down by three-quarters of a percent, which amounts to 49 fewer homes this year than last. Not a statistically significant amount and it’s likely that we are going to see a larger increase in the weeks to come with the change in season. 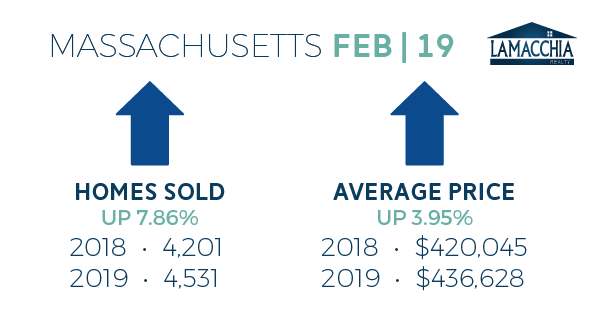 There was a 5.9% increase in price adjustments in Massachusetts year over year, with only 29 more in 2019 than February 2018. With more homes on the market this year compared to last, this is no surprise, as sellers need to ensure their homes attract the right buyers by hitting the correct price point. 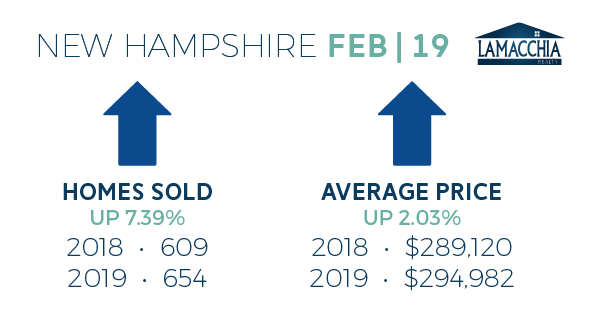 New Hampshire experienced a similar month to Massachusetts in that their home sales increased by 7.39% and their sales prices increased by 2%. Slight increases in all three categories for home sales and as well for home prices. The only decrease was in sale prices for single families, which saw a 1.5% (roughly 4 thousand dollar) difference this month compared to last. The spring market is upon us! Buyers and sellers should be ready for the shift in scales to start in the near future where buyers outnumber the number of homes for sale. Buyers should be ready to strike where the iron is hot and outbid others in bidding wars, which are going to become more frequent in the weeks to come. Sellers should price aggressively to attract the most buyers, which will incite more offers to choose from. Data provided by Warren Group & MLS PIN and compared to the prior year.